ILA ROSE MCNAUGHTON COBBETT“Together Forever” BOARDMAN - There will be a memorial service at 2 p.m. on Sunday, Dec. 4, at the Western Reserve United Methodist Church, 4580 Canfield Road in Canfield, for Ila Rose McNaughton Cobbett, 93, who died Tuesday morning at her residence, surrounded by her loving family. Ila Rose, known as “Rose,” was born Oct. 31, 1923, in Strattanville, Pa., a daughter of the late Alden and Maude Craft McNaughton, and came to this area in 1940. She attended Rimersburgh High School in Rimersburg, Pa. She married her husband, Fred “Dommie” Monroe Cobbett, on Nov. 27, 1940, and he preceded her in death on Oct. 29, 1999. Rose was active in the Millcreek Golf League and Trevelac Ladies League, as well as the Valley Golf League. 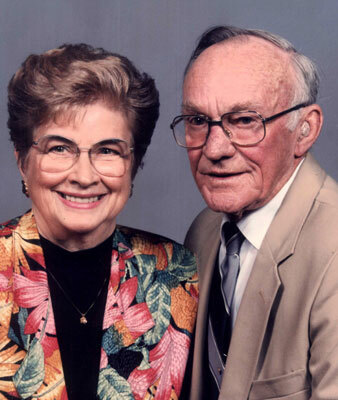 She and her husband, Dommie, loved playing golf on Saturdays with friends and neighbors for many years. She enjoyed bowling and belonged to a bowling league for many years. Rose especially loved spending time with her family and enjoyed cooking. According to her family, she made wonderful pies and everyone had their own favorite. She leaves to cherish her memory, her three children, Connie Cobbett Neal of Boardman, Jackie Cobbett (Mike) Dill of Olive Branch, Miss., and Fred M. “Rusty” Cobbett Jr. of Atlanta; as well as her six grandchildren, Thomas (Becky) Neal, James Neal, Jennifer R. (Gabriel Crish) Neal, Tiffany Cobbett (Jason) Holden, Christopher (Erin) Cobbett and Caitlin Cobbett. She also cherished five great-grandchildren, Rachel Neal, Courtney Neal Best, Brooke Neal, Riley Crish, Irelynn Rose Holden (who was named for her) and Caeleb Patrick Holden. Rose also leaves two great-great-granddaughters, Taylor Marie and Ava Marie Best; and many nieces and nephews, who held a special place in her heart. Friends may call for one hour prior to the services on Sunday, Dec. 4, at the Western Reserve Methodist Church. The family would like to give a special thanks to Rose’s caregivers at Meridian Arms Living Center and deep appreciation for the excellent care and support of Hospice of the Valley personnel. In lieu of flowers, the family would appreciate material tributes take the form of contributions to Hospice of the Valley, 5190 Market St., Boardman, OH 44512. Arrangements have been entrusted to the Lane Family Funeral Homes, Canfield Chapel. Family and friends may visit www.lanefuneralhomes.com to view this obituary and leave condolences. Please share your memories of Ida Rose.